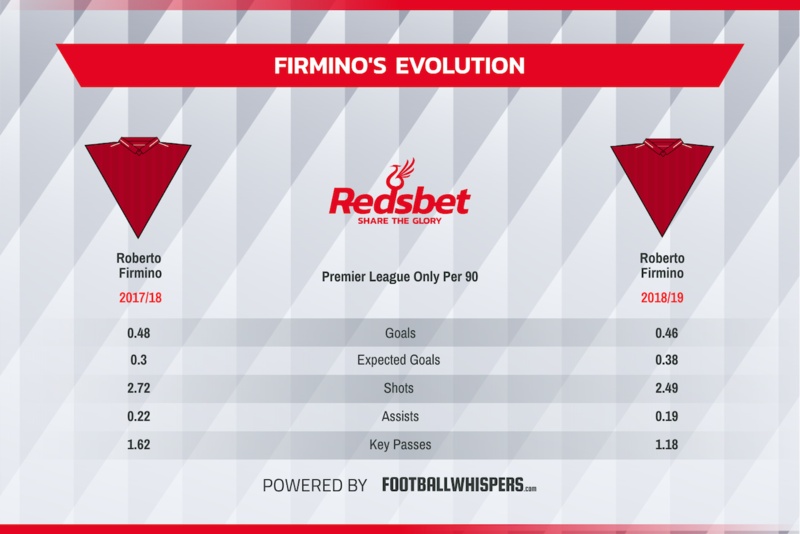 We look at why Roberto Firmino, despite going under the radar this season, remains an integral part of Jurgen Klopp's Liverpool. 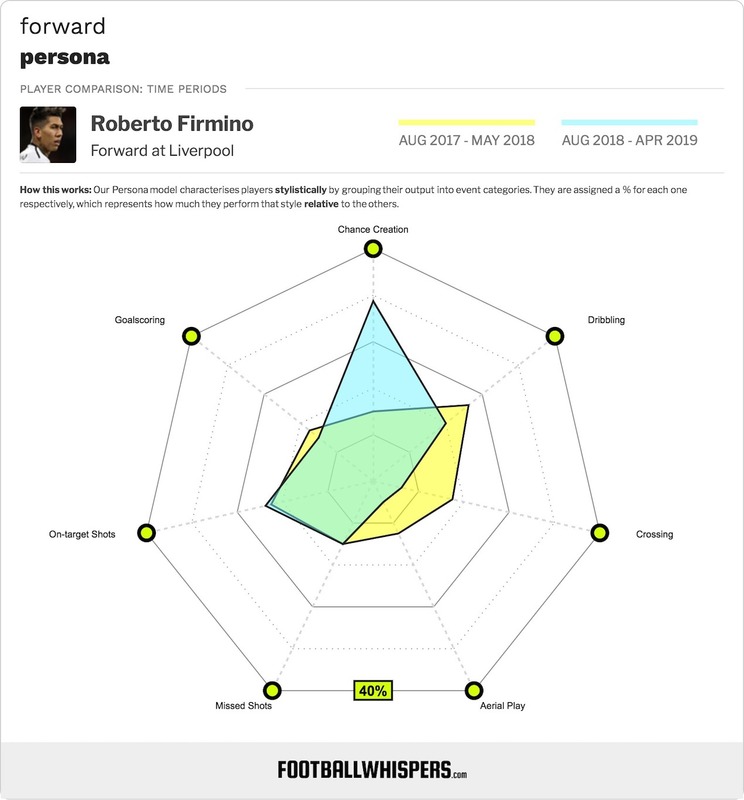 Roberto Firmino has been the forgotten musketeer this season. Mohamed Salah’s goalscoring exploits last term meant it was inevitable that he would take centre stage once again this year, even if he has failed to reach similar heights. Sadio Mane’s form in 2019, which has seen him net 11 goals in 11 games, has resulted in many questioning whether he’s even more vital to this Liverpool side than Salah is. The two Liverpool forwards sit on 17 Premier League goals each for the season so far. In the shadow of the pair is Firmino. Instrumental in Jurgen Klopp’s rampant forward line last season, he’s been forced to take something of a backseat this term with the German tactician tinkering with his team throughout the campaign. More often than not, it’s Firmino who sees his role tweaked. Whereas last season he lead the line as the Liverpool No.9, this season he’s spent periods as a No.10 and on either flank. Always a facilitator, the current campaign has seen Klopp rely on the Brazilian as a creator more than ever before in a new system, and his productivity has suffered because of this. After a bright start to the campaign, there was a period between September and December which saw Firmino net twice in 14 appearances and he failed to add an assist during that time. He was going through an adaption period of seeing more of the ball due to his slight change in possession as well as receiving it in different areas of the pitch, as highlighted back in November. Yet despite this being a transitional season, with the Reds playing a different style to what fans have been used to while utilising new systems for large parts of the season, there’s been one constant throughout. Firmino’s ability to influence big games. His goal against Spurs on Sunday was his 12th of the season in the Premier League. He’s now just three goals shy on his return during the 2017/18 campaign, not a bad achievement for a player who spent large parts of the year as an attacking midfielder. It was also his second goal of the season against Spurs with both games ending in 2-1 victories for the Reds. He also netted the late winner against Paris Saint-Germain at Anfield just as it appeared as though the Ligue 1 champions had snatched a point. Firmino netted a treble against Arsenal in the emphatic 5-1 victory over Arsenal and he netted the equaliser against Manchester City at the Etihad in a game Liverpool eventually lost. It’s a trait he’s managed to carry over from last season. During Liverpool’s run to the Champions League final, Firmino scored ten times including goals in knockout ties against FC Porto, Man City and AS Roma. The Brazilian also managed to score against Arsenal and Man City in the Premier League as the Reds secured a place in the top four for a second successive season. The former Hoffenheim man won’t ever be the most prolific forward but he is good for double figures every single season. In his four seasons with the Merseysiders, he’s scored 48 league goals, and there’s still six games left to play. He’s also chipped in with 26 assists at an average of six per season. While he might not ever challenge for the Golden Boot, you’d be hard pressed to find a second striker who is as consistent as he is. Firmino seems content with letting the likes of Salah and Mane steal the limelight, just as he was with Philippe Coutinho being the main man before that, but he’s still invaluable to Klopp and the way Liverpool play. A big game player who is also a reliable goalscorer in his own right despite always putting the needs of the team before himself. It’s no wonder the Liverpool boss loves him. The forgotten musketeer is still one of Liverpool’s most important players.